I bring a fierce commitment to advance the profession, to improve community understanding of our role in education, and to achieve our mission in advancing excellence and leadership among our members. My goal, whether elected or not, is to advocate for building level practitioners and to find new ways to let administrators at all levels know why they need strong librarians in their schools. This is because school librarians contribute to student achievement and instructional effectiveness, and we know that it is no longer enough to teach students to read. School communities and their library programs must support the media, digital, and global literacies that build on the foundation of traditional skills. We are the most versatile teachers in our schools, and we connect with every stakeholder in our learning community and beyond. Support for building level librarians is the foundation of everything we do in AASL, like breathing. The association works within our membership by providing access to resources and professional development opportunities, as well as with state school library organizations, and with government agencies and legislatures that establish policy and funding to improve and strengthen practice. But without learning community awareness and effort, that work is made more difficult; AASL needs local voices aligned with ours to inform superintendents, school leaders, policy makers and legislators regarding why local librarians matter and the essential value we provide through our roles as teachers, information specialists, instructional consultants and program administrators. 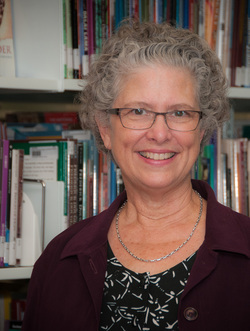 As I work in Houston to increase community and school board awareness of the benefits of strong school library programs developed and led by certified school librarians, the significance of the wealth of available AASL resources has become clearer – as well as the need to increase awareness of accessible association support. AASL publications, website initiatives and community connections unite us as an association, providing our professional direction day-to-day - but our work in schools relies on our strength as a collective body. We are only as strong as our membership; continued development and deployment of meaningful advocacy tools will encourage our non-member colleagues to join AASL to build a stronger association that strengthens our effectiveness to better ensure that we are acknowledged as indispensable for the important work we do. I am proud to credit the location for this photo to the library I lead at the Annunciation Orthodox School (Houston TX) which has willingly supported my work toward strong library practices for all our students over the last 24 years, and continues to support my participation in AASL, an organization that has supported me since I joined in 1978.